"The music was incredible, and our children had the time of their lives!" More than 60 young refugees from Syria, Iraq and Afghanistan participate in Syria Summer School in London. All have fled war in their homeland, endured incredibly difficult journeys and lost years of their childhood. All now face an unsettled future in the UK. Our team join staff and volunteers, who dedicate 4 weeks to supporting the adjustment, well-being and education of young refugees. They do it before school starts in September. Our inspirational creative facilitators include Manchester based ‘Madz’, a supreme beatboxer from Damascus, traditional players Louai and Rihab from the London Syrian Ensemble, Farhood, an amazing MC from Iran, Shahd, a stunning Palestinian dancer, incredible Roma musicians Ben and Sindy Czureja alongside highly experienced facilitators/singer/song-writer Noga and Merit bringing it all together. 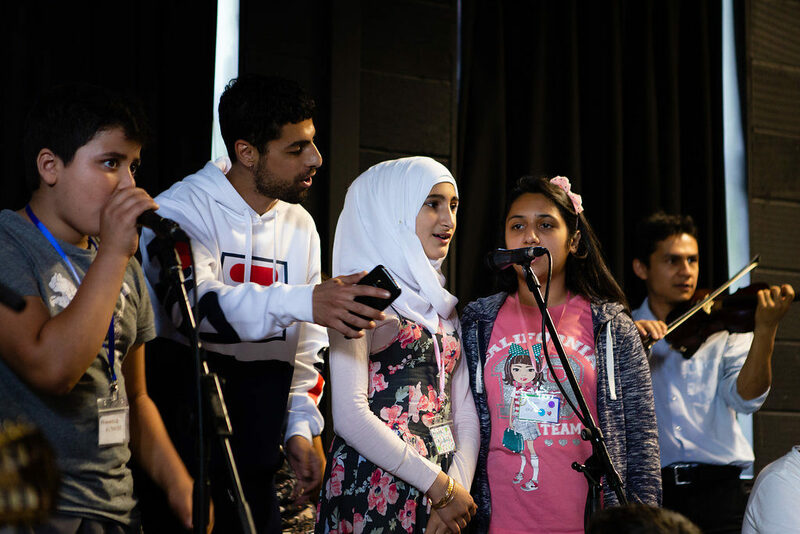 The team facilitate a shared celebration of the rhythms, traditions and melodies of the young refugees’ homelands and create new work inspired by their own tastes, hopes, and aspirations for the future. I still keep grinning with joy when I listen back to the kids’ musical explosion. I can’t believe you get them so united in strength and channelling their energy so positively! In a short time, the groups work together with energy, focus and unity; applying and demonstrating the skills and talents that can contribute so much to UK society in years to come. 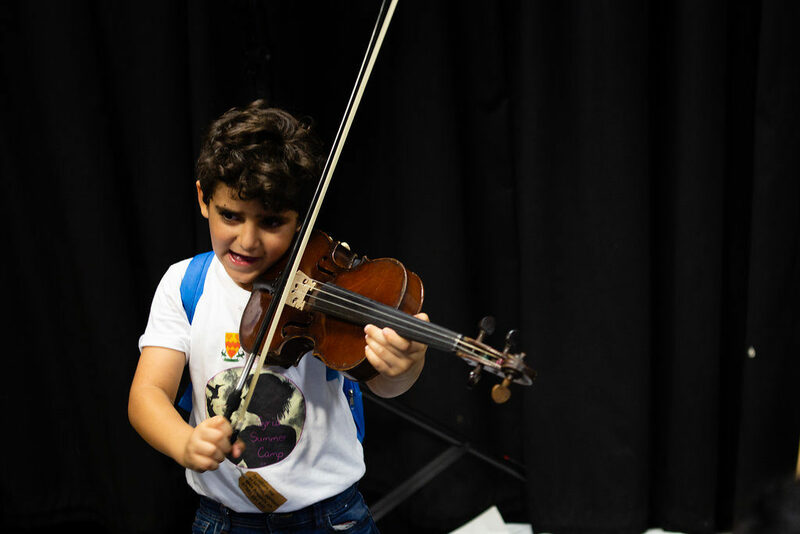 This incredible partnership with Syria Summer School enables us to continue to support more young refugees to overcome trauma, build happiness, resilience, and believe in a brighter future, through music. 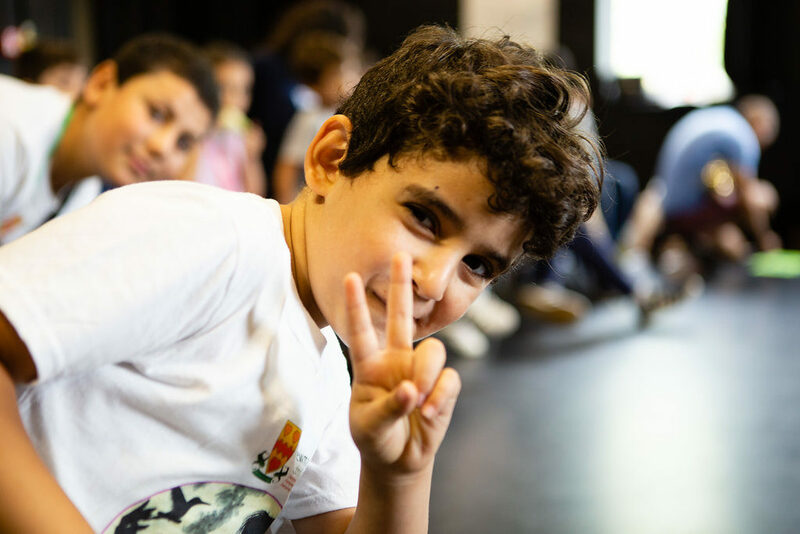 With much delight, now we also support the young refugees within school time throughout the year.